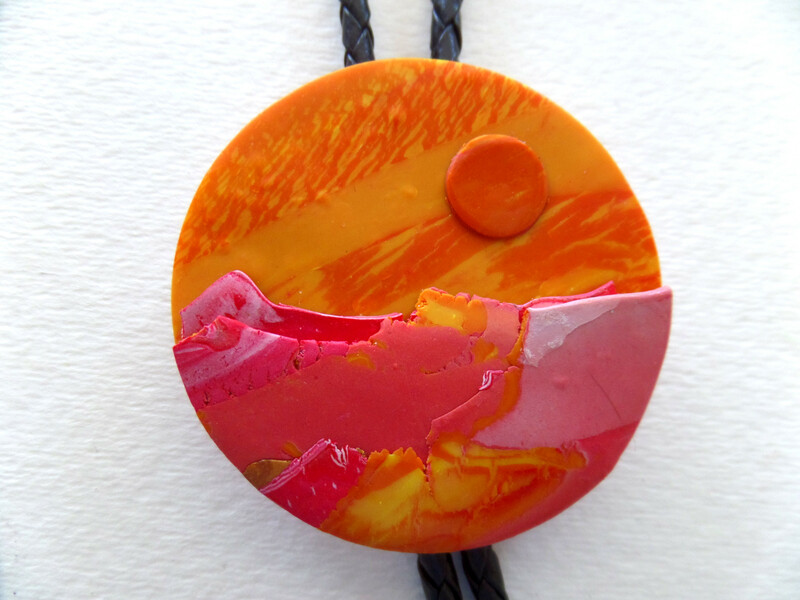 "Orange Ade Galaxy Bolo Tie" is crafted from a palette of dozens of colors of polymer clay, blended and layered for dimensionality and contrast. On March 13, 2007, New Mexico Gov. 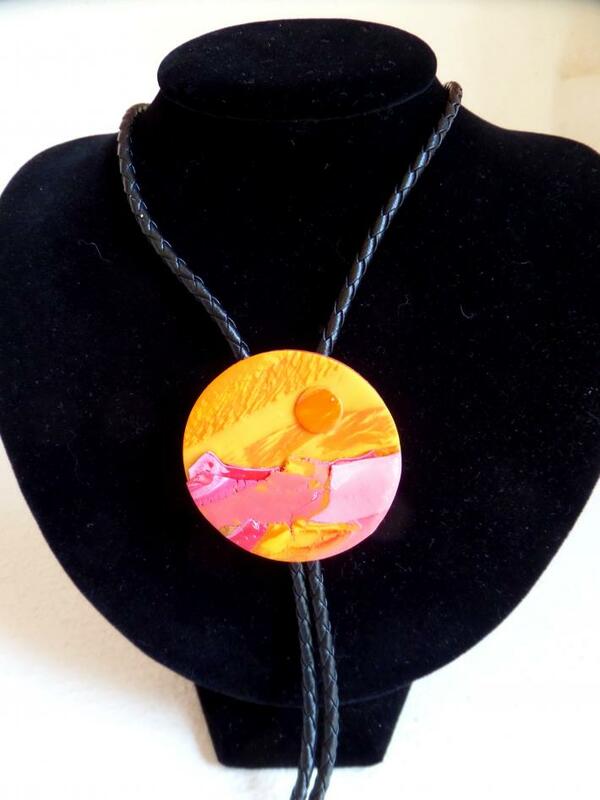 Bill Richardson signed into law that the bolo tie is now the official tie of the State of New Mexico ! 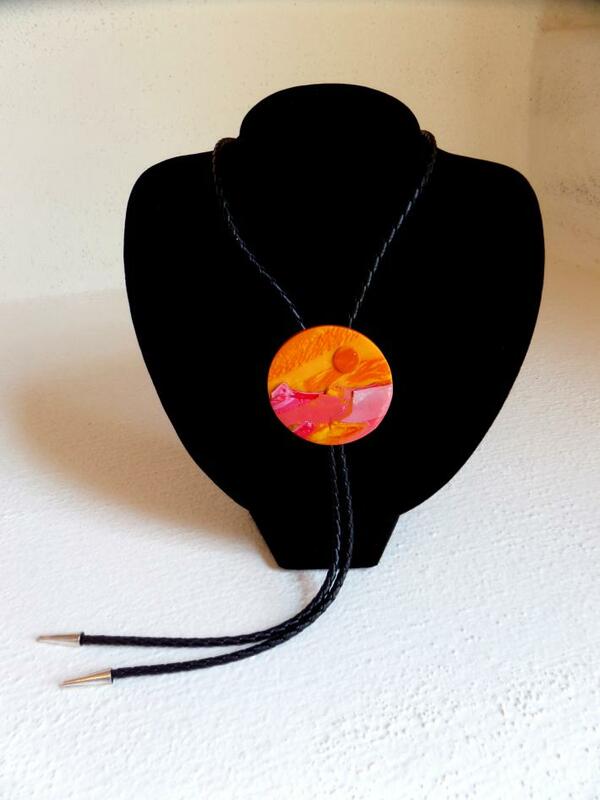 Each piece is given a distinctive name, and this one is part of my interpretations of galaxies and worlds beyond our own.